When I spotted this little beauty on Instagram I just had to have it in my possession! How cute and inspiring! We all need a little motivation every now and again. I don't know about you, but for me it's daily. So, if you're like me and need a little motivational help, let me introduce you to, Cornish Bluebelle. 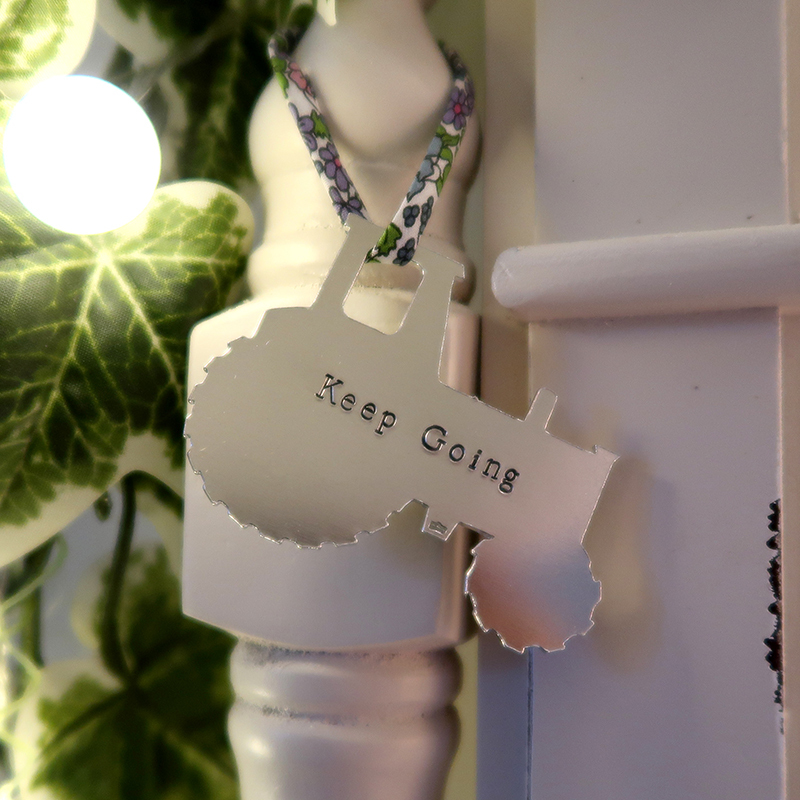 Cornish Bluebelle handstamped my tractor with my chosen phrase, 'KEEP GOING' on it. 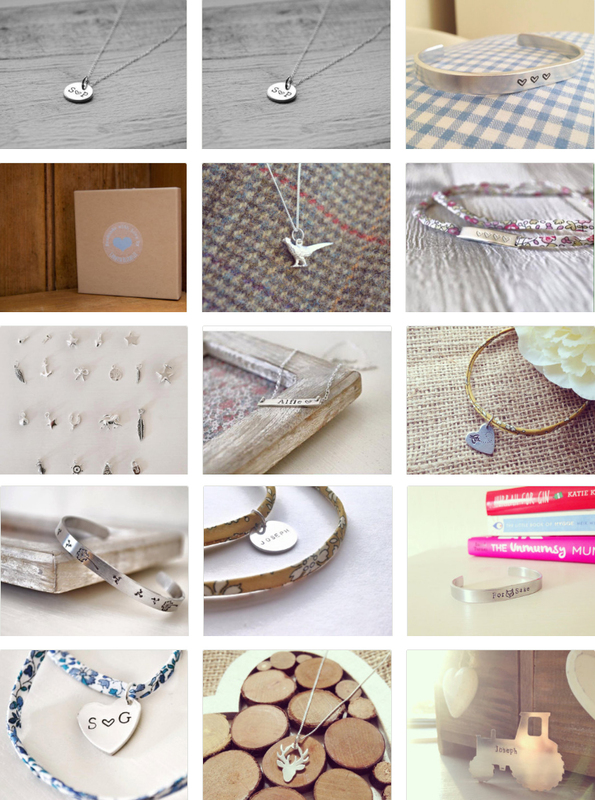 Cornish Bluebelle make handstamped jewellery, charms and home ware. They have an online shop on Etsy. All orders will be supplied in a gift box. Hand stamped jewellery isn’t meant to always look 100% uniform. Each letter, number and design is stamped into the silver one by one so there will be variations in depth and spacing. This is all part of the rustic charm of handmade jewellery and is not classed as a fault. I'm also influenced by positive, happy people (yes, you!) and inspiring art and of course my new little tractor. "I firmly believe that motivational quotes and inspiring artwork has a positive effect on your attitude and well-being." Last year was a huge learning curve for me so this year in particular I am making more time for me. This means, taking a relaxing bath (I know right? I can count on one hand how many times I took a nice bubble bath last year - not happening this year), taking better care of my skin (aka, maintaining a daily skin care routine, face masks) and just generally not giving myself such a hard time for not achieving everythinggg on my to do list. My reason for this is... Less stress = More productive + Happier in general. And finally, try to have some sort of goal in mind. "I must complete "blah" by this date" and mean it! But remember, we ALL need down time every now and again. It's ok to go off the radar every now and again to recuperate and no one should not feel bad for doing so. The tractor is silver in colour. Despite it's size it packs a punch with it's inspirational quote! I love this because it keeps me on track with my goals and achievements. I think could do with one of these in their home! I firmly believe that motivational quotes and inspiring artwork has a positive effect on your attitude and well-being.
. : BELIEVE & YOU WILL ACHIEVE : . I see it every morning and evening so it reminds me that sometimes, life in general can be tough but you can do it! Sometimes you need spurring on. Whenever I look at this, it's a reminder to me to KEEP GOING and push forward! Thank you so much Cornish Bluebelle for making this beautiful piece for me. It has saved me a few times already!